Iranian Supreme Leader Ayatollah Ali Khamanei's representative to the Revolutionary Guards - Quds Force, Ali Shirazi confirmed late Thursday in an interview to Iranian website Asr-e Iran that the leader of the Daesh terrorist group, Abu Bakr al-Baghdadi died in Russian airstrikes. The Quds Force is in charge of operations outside Iran's borders by the country's elite Revolutionary Guard Corps. Iranian Foreign Ministry officials were not available to comment on the report of Baghdadi's death. "Terrorist Baghdadi is definitely dead," Shirazi said, adding that he verified the death "through multiple channels." The Russian Defense Ministry said it has investigated whether a Russian airstrike in Syria killed Daesh leader Abu Bakr al-Baghdadi, the TASS news agency reported on June 16. The airstrike targeted a meeting of Daesh leaders and was carried out on May 28, the agencies cited the ministry as saying. Senior leaders of the Daesh terrorist group were meeting at the time of the May 28 strike, the ministry said in a statement by Tass. 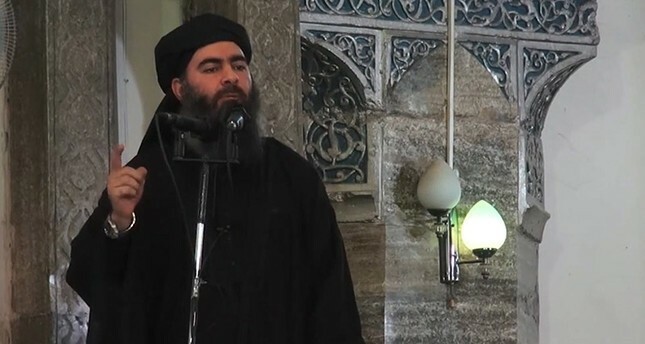 "According to the information which is now being checked via various channels, Daesh leader Abu Bakr al-Baghdadi, who was eliminated by the airstrike, was also present at the meeting," RIA news agency quoted the ministry as saying. Baghdadi, who has a $25-million bounty on his head, has managed to evade being killed or captured by the U.S.-led anti-Daesh coalition throughout its more than two-year campaign in Iraq and Syria. The terrorist leader has frequently been reported killed or wounded since he declared a so-called "caliphate" to rule over all Muslims from a mosque in Mosul in 2014, after his fighters seized large areas of northern Iraq.